Exposure to ultra-high-strength MRI may release toxic mercury from amalgam fillings in teeth, according to a new study appearing online in the journal Radiology. The effect was not seen, however, in the lower strength, more commonly used 1.5-Tesla (T) MRI. Amalgam fillings, also known as silver fillings, have been a staple of dentistry for many years. Amalgam consists of approximately 50 percent mercury, a known toxin that can cause a host of harmful effects in humans. Despite the presence of mercury, the U.S. Food and Drug Administration considers amalgam fillings safe for adults and children older than age six. "In a completely hardened amalgam, approximately 48 hours after placing on teeth, mercury becomes attached to the chemical structure, and the surface of the filling is covered with an oxide film layer," said the study's lead author, Selmi Yilmaz, Ph.D., a dentist and faculty member at Akdeniz University in Antalya, Turkey. "Therefore, any mercury leakage is minimal." Previous research has found that exposure to the magnetic fields of MRI could cause mercury to leak from amalgam fillings. This concern has been heightened by the recent arrival of ultra-high-strength 7-T scanners in the clinic. The stronger magnetic field of 7-T MRI yields more anatomical detail, but its effects on amalgam dental fillings have not been studied. To learn more, Dr. Yilmaz and colleague, Mehmet Zahit Adi?en, Ph.D., evaluated mercury released from dental amalgam after 7-T and 1.5-T MRI in teeth that had been extracted from patients for clinical indications. While 7-T MRI was approved by the FDA in 2017, it has extremely limited availability. 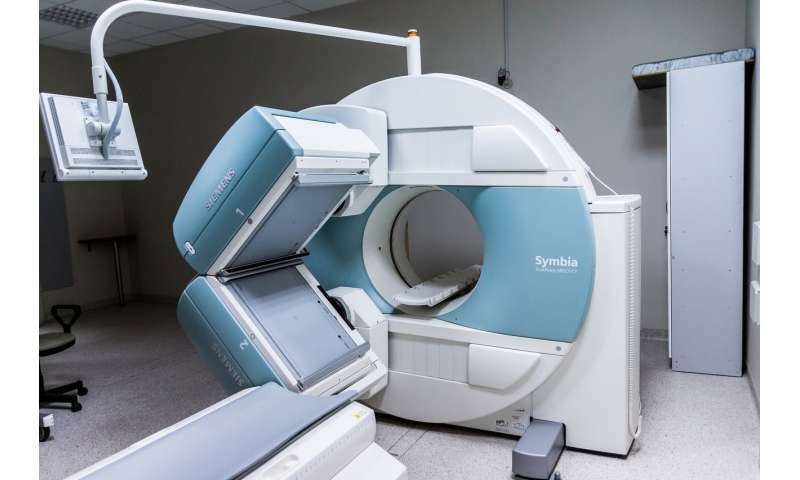 The lower-strength 1.5-T MRI is widely available and commonly used for patient exams. The researchers opened two-sided cavities in each tooth and applied amalgam fillings. After nine days, two groups of 20 randomly selected teeth were placed in a solution of artificial saliva immediately followed by 20 minutes of exposure to 1.5-T or 7-T MRI. A control group of teeth was placed in artificial saliva only. When the researchers analyzed the artificial saliva, the mercury content in the 7-T, 1.5-T and control group was 0.67 ± 0.18, 0.17 ± 0.06 and 0.14 ± 0.15 parts per million (ppm), respectively. At 0.67 ppm, the mercury content in the 7-T group was approximately four times the levels found in the 1.5-T group and the control group. "In our study, we found very high values of mercury after ultra-high-field MRI," Dr. Yilmaz said. "This is possibly caused by phase change in amalgam material or by formation of microcircuits, which leads to electrochemical corrosion, induced by the magnetic field." Based on Environmental Protection Agency standards, the amount of mercury released from amalgam fillings during exposure to 7-T MRI would far exceed levels considered safe for people. "Although it is not clear how much of this released mercury form is absorbed by the body, the study findings indicate that amalgam fillings may pose a risk not only to patients, but to staff too," Dr. Yilmaz said. Further studies may be warranted, Dr. Yilmaz added, to evaluate the relationship between high-field MRI and release of mercury from dental amalgam. The researchers have three ongoing projects focused on phase and temperature changes of dental amalgam across different magnetic fields. As no evidence of harmful effects was found in the 1.5-T group, patients with amalgam fillings should not be unduly concerned about having an MRI exam.